View my blogs of new listings, recent sales, price changes and other Northern Maine news. The closing costs in general are much less than the bank loans. The process is actually quite simple as compared to bank financing. You can either look for large parcels of acreage or small building lots for your home or camp. Buyers also like to use the owner finance option when looking at waterfront land which could be on a lake, river, stream or even ocean front. If you are looking to buy land in Northern Maine with seller finance, I am nearly certain you can find what you are looking to purchase. The http://www.mainelandbroker.com/ site has many seller finance properties if you are moving to Maine or just looking to recreate in our wonderful state. Landowners in Maine are taking advantage of the deep snow pack this April and tapping Maple Trees to the annual spring sap run. The perfect conditions exist with colder freezing nights and warmer sunny days. If you are lucky enough to have Sugar Maple trees on your lakefront property or small cabin in Maine, I would like to invite you to give it a try for yourself. You will need about 40 gallons of sap to boil down to 1 gallon of syrup. However, even if you make a cup or a pint, you will gain the experience and enjoy the spring Maine sunshine. It is a great activity to enjoy with family or kids. You can snowshoe or snowmobile to gather your sap and once you have collected the amount you desire, you can boil it down to make the syrup. It is so rewarding to have your own family made Maple syrup on your pancakes, eggs or french toast throughout the seasons. Each time you see it in the grocery store, you will have a whole new respect for the process of making Maine Sugar Maple syrup. I invite you to post pictures of your process on my First Choice Real Estate mainelandbroker.com Facebook page. Good luck and this is just another way to enjoy resources coming from your land in the great State of Maine. One of the fun parts of a gold old Maine Summer is hopping on the family ATV and cruising through the back woods until you find a good place to have a picnic or just relax. In my family it worked like clockwork: The parents would scout a trip to a local (or sometimes not very local) spot that the family would be interested in. (A personal favorite spot of mine is Bible Point along the Mattawamkeag River in Island Falls, not only because of the ride but also because of the historical meaning of the area.) On the Saturday or Sunday the family would gather up with all of our ATVs and make a valiant effort at trying to pile the whole family on. After that we would find the route, which often started in the dirt roads behind our homes. The trip would take anywhere from a couple of hours to entire days, but it was well worth the time. Usually, we would end up having at least one person get stuck or on the very rare occasion, float the small ATV through an over flowed beaver dam. All of this wouldn't be possible if we didn't have our home in Maine. It gives us so much freedom to go where we want and how we want to get there. There is nothing better than owning a lakefront real estate property in Maine. The only thing that could improve our go of it, is to find a camp somewhere on a trail or along the river so we could make it a two day event. Anyone that has the chance to even ride the trails up here in Maine, whether it be with ATV, Side-by-Side, or dirt bike, should immediately take advantage of that. If you find you like it, and you will, the next step is finding your base to start the trips from. It'll be the ride of your life! Thus, you must lookout for waterfront land for sale in Maine and make your outings with family more enjoyable and accessible. It is that time of year again when mother nature lets up a little on Maine. Up North, we can witness the grass poking through the snow, the ponds and lakes shedding their ice, and the chirping from the birds is back in full swing. Of course, there is so much more fun that comes with the changing season. The problem for most aspiring fishermen is not having a place to stay to get in time on the north waters. Because only 10% of Maine waters hold the special Squarebacks, that limits the area for buying or renting land for sale in Maine. Luckily people have recognized the influx of fisherman and have tried to make accommodations with homes for sale in Maine. A quick search on the internet will reveal many camps on rich, secluded waters, such as a plush lakefront property in Maine that is either for rent or for sale. For now, all I can say is if you are really invested in fishing and enjoy the peacefulness of it, or enjoy the camaraderie between your friends and fellow games men, then you owe it to yourself to make the investment. If you don't trust me, trust the thousands that live it daily or travel hundreds of miles to live it for what only may be a few hours of thrill. Last time you heard from me I was explaining the joys of the environment and people in Maine during the holidays. The small towns light up with decorations and the lights and decorations go out on the lawns and storefronts to create a mesmerizing setting. But this is only half of its beautiful expanse. The beauty of Maine is such that it just keeps giving back. This time of year it is in the form of beauty and endless outdoor recreation. A personal wintertime favorite of Maine land is downhill skiing. Not only are you out all day on the freshly groomed snow with friends and family, which is great! But it also gives you the opportunity to eat sumptuous lodge food. The burgers and fries are like nothing else. You might be thinking I'm crazy, but until you try one for yourself you'll never fully understand what I am talking about. I haven't even mentioned the best part yet, which is the hot cocoa. It's unbelievable, and inexplicable, so I'll stop trying to express my excitement. Of course skiing isn't the only attraction, there are plethora of other options such as snow-sledding, tubing, sliding, snowshoeing, cross-country skiing, snowball fights, fort building, and tunnel digging and there's even dog-sledding. Northern Maine land has everything you could need for outdoor excitement in the winter, and they're at their peak right now. All groups will be pleased, from the family that wants to spend quality time taking in the scenery and going sliding, to the guys who want to get away for a weekend and go sledding until their back just can't take it. And if you're just a fan of viewing, and not actively being a part of the adventure, there are very cozy cabins for sale in Maine with nice warm fireplaces that you can snuggle up to with a good book, and a cup of coffee. There are some who would love to settle down in this tranquil vicinity and for them there are plenty of homes for sale in Maine, USA and you can opt for some amazing options like waterfront land for sale in Maine and lakefront cabins for sale in Maine. So go ahead and explore these properties to make this splendid place your home. Life is as good as you make it in Northern Maine realty. As most of the people know by now, that the deer hunting-season in Maine for the year 2016 has begun. It's only the beginning of the hunting season and it is getting full of stories. During the said season, Maine inhabitants and people from outside the State will flock together in the Maine woods and fields to play their favorite deer hunting game, trophy buck. But in Maine, hunting for most is not just a sports, instead it can be a way to feed their families. In my personal experience, I have been lucky enough to tag 3 deer. Each time the initial excitement was from the thrill of the hunt, but hours later, it becomes clear that the real excitement is for the money saved on food throughout the winter, and the pounds of delicious venison. More often than not, you are going to strike out if you hunt. You'll be out there in the woods for hunting for hours, sitting under a tree, walking through the woods, or just riding around in truck, with defrost blasted to keep it from fogging up. You will always get caught up in such an unforeseen circumstances, but later on in your life you will remember these days more than any other days. The reason is these days were more unpredictable and hence more exciting and fun filled. These days will make up the best stories of your life that you will carry on in your memories forever. In my usual hunting group, the topics that always come down to discussion were related to sports, movies, politics and so on. But in the end, its days like these that keep on coming back to us. Lastly, none of this fun would have been made possible without the nod of the land owners, who allow hunters to use their land. There's nothing exciting like seeing a field that stretches for acres and is not posted with sign of cautions. Seriously though, these land owners are great for allowing us to hunt their land. Just be respectful, stay on marked trails, and always make sure there are no "posted" or "access by permission only" signs. Have a great time this fall looking for you trophy, and best of luck! Should you be looking for land in Maine? Maine is a great to place to look, for lower cost recreation land. These parcels provide great opportunities to hunt, fish, ATV, snowmobile, camp and enjoy Maine's beautiful inland lakes and mountain areas or its scenic coastline. When looking for land, always consider several important items. It is surveyed or does it have clear boundaries? What type of access do you need? Maine is a 4 season state and some properties are not accessed by vehicle in the winter months. What other restrictions does the property have if any? You should know and understand the Maine Tree Growth tax savings program and so, because it can have huge benefits to land owners of 10 acres or more. An experienced Maine Land Broker can help you find the right property. Another benefit for many is the larger selection of parcels that offer seller financing. This may or may not be right for you but a Maine Land Broker can help you decide best, considering any pros and cons when looking for the right parcel of land in Maine. Maine offers so much beauty, peace and quiet. It is time for you to own a parcel of land in Maine to enjoy. Nestled in the heart of Maine, you will find exquisite section of waterfront cabins and villas. Each abode is gorgeously built and uniquely crafted with breathtaking interiors. Also, each and every property type comes fully furnished and is designed with a harmonious blend of natural and modern concepts. Interestingly, the state of Maine share borders with Quebec, a Canadian province and is situated in the region of New England, USA. Unlike many other states in the USA, Maine is known to be a rich amalgamation of varying cultures emerging from indigenous people. Here, in Maine, you will find an endless list of desirable property listings for people who want to live close to nature and its wilderness. The state of Maine is open year round. Hiking, wildlife viewing, snowmobile trails, fish hunt, and much more; you could do it all from your doorsteps. Maine presents itself a perfect place to do everything or nothing at all! If you are considering buying a waterfront cabin in Maine, do not look elsewhere other than Maine Land Broker. Undoubtedly, real estate transactions are mostly one of the biggest financial investments that most people make in their lifetime. This is where a realtor’s service comes handy. From determining your buying power to helping you hunt the most desired property; negotiating with the seller to evaluating a property’s actual worth, a property listing broker does it all. So, if you have decided to buy a waterfront property in Maine, Scot Walker can be your wingman. He will leave no stone unturned in getting you the most desirable waterfront cabin or a villa for sale or discounted prices. Also, he can be your man when you are considering putting your property for an open house. Pick "Maine Land Broker" to assist you in the most beneficial property search in Maine. Island Falls, Aroostook County - WONDERFUL BUILDING LOT WITH DRIVEWAY, WELL, SEPTIC DESIGN AND DEEDED WATER RIGHTS TO PLEASANT LAKE. ONLY SECONDS TO 18 HOLE GOLF COURSE AND 2 LAKES. 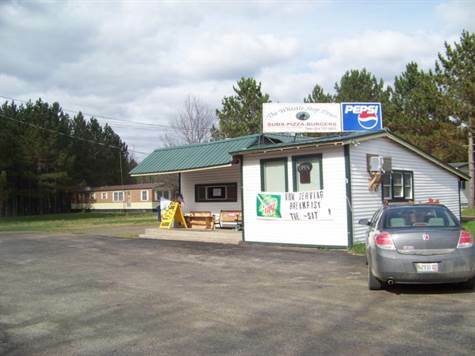 • 2 bath, 2 bdrm commercial "Restaurant and Rental" - MLS® $129,900 - Cash Restaurant Business! Oakfield, Aroostook County - Cash Diner Buisness and 12x52 mobile home to live in! Close to I-95 and in complete working order. Great breakfast and lunch location. New roof, siding and windows in the last year! Owner will finance! 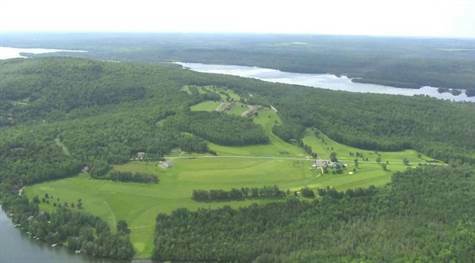 Aroostook County, Maine - Announcing a price reduction on 4654 Aroostook Road, a 1,300 sq. ft., 1 bath, 3 bdrm 1 3/4 story. Now MLS® $119,900 - 3 Bedroom cape!. • 9,000 sq. ft., 6 bdrm multiplex - MLS® $99,900 - 5 Unit Rental! 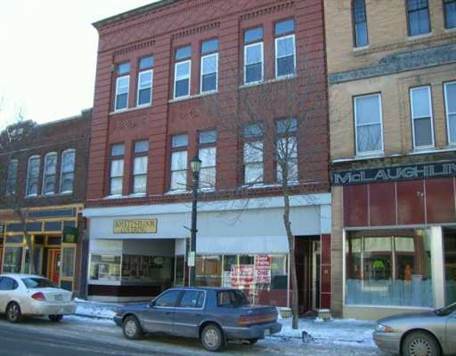 Houlton, Aroostook County - Nice in town Building with store front and 4 additional rentals. Great Income! Ready to make you money with excellent rental history. Monticello, Aroostook County - Announcing a price reduction on 0 Fullerton Road, a lot / land. Now MLS® $39,900 - . 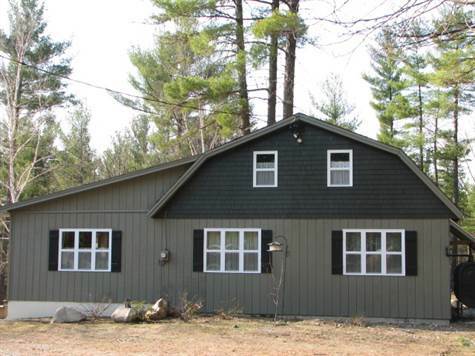 Medford, Piscataquis County - Nice year round cottage that has been mostly remodeled. 800 feet of frontage on Brook frontage and near the Picatiqus River. Nice private setting under large majestic pine trees. New Garage! Must see! Do you have some acreage you would like to sell? I have several buyers looking for wooded acreage and small to mid size farm land parcels. Please give Scot Walker a call to discuss selling your land at 207-415-3146. Always visit www.houltonmainerealty.com and call Scot Walker with First Choice Real Estate at 207-532-4500 for additional information on any land and homes listings.